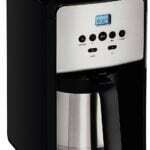 One of the most well-known and commonly opted coffee makers in the market right now is the Keurig coffee maker. Coffee is without a doubt one of the most consumed and loved beverages around the world. Many people only drag themselves out of bed in the morning for that perfectly hot cup of coffee. As we moved into the modern age, commercial coffee brewers were the first ones to come into the market. It wasn’t long before residential coffee makers and the great Keurig coffee makers also saw their way into the market. Today, there are quite a number of coffee makers available. Whether you are looking for a cheap coffee brewer or an expensive one, they are available under every price range. This coffee brewer is one of the best known pod coffee maker systems. It is a great single-cup coffee maker which is commonly referred to as a k-cup coffee maker because of its single-serve container. 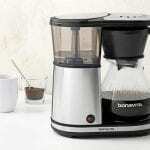 Single-cup coffee brewers are generally best for a smaller households – such as a single-person household or a couple. A Keurig coffee maker can also be used to make many other beverages including hot chocolate and tea. So, go ahead and tell you tea-loving friends that there’s an easier way to make their favourite beverage too! Keurig coffee makers are one-touch coffee making machines that use a pod to make coffee. This easily makes them one of the easiest appliances to use. There is a good variety of flavors that the pods come in. You can enjoy the flavor of your choice by just placing the pod into the machine. Since the Keurig coffee makers use pods to make coffee, there is a lot less waste. This means that the entire cleaning process of this coffee maker is also relatively easier than many others. The pods used in this coffee maker are sealed, preventing the coffee beans from becoming stale. While there are several benefits of a k-cup coffee maker, it also has a couple of minor disadvantages. You’ll need to buy the coffee pads separately. Luckily you go buy them here. Although the amount used in the pod is perfectly balanced, some less expensive models do not offer the option to control the strength. So if you want your coffee a little stronger or a little lighter, you’ll have to purchase one of the more expensive Keurig coffee makers. Even though there are some cons to this coffee maker, they still aren’t necessarily a deal-breaker for many. Apart from the number of benefits that this coffee maker offers, it also make great tasting and hot coffee. Keurig ranks among the top coffee machines in the market. However, keep in mind that this coffee machine is best for a small household. You should also make sure that you have enough space on your kitchen counter for the coffee maker. 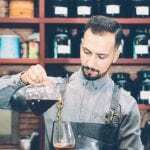 If you are not yet enthralled by the Keurig Coffee makers do not worry, there are several other types of coffee makers available that you can choose from. Each type of coffee maker comes with its own unique set of benefits. Fresh coffee beans make the best coffee. Thus, for that perfect brew, ensure that your coffee is as fresh as possible. Many coffee makers allow you to set the boiling temperature. The optimal temperature for coffee is around 200 degrees, so make sure your machine is on the right setting. Also, it is good to remember that you can add different ingredients to your coffee as well. Chocolate is a favorite ingredient, thus why Mocha coffees are so popular. Another great ingredient to add to your coffee is cinnamon. It adds a bit of spice to your usual brew and has wonderful health benefits as well. You could switch it up a bit by try a different type of milk such as coconut or almond milk. These have health benefits as well, although not everyone likes the taste. Once you are done making your brew, be sure to clean the coffee maker and all its components. A coffee machine that is not clean regularly, will not make very good coffee. The residue from previous brews will cause the coffee to taste bad. The machine would also not be as durable if not cleaned regularly. Finally, before purchasing your brewer, ensure it has all the features that you’re looking for in a coffee machine. 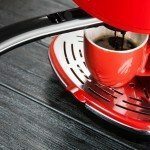 If you’re still unsure about it, read some customer reviews to see what previous buyers think of the coffee maker.